When Eden is raped by her brother’s best friend in her bedroom one night, she doesn’t tell anyone, letting the aftermath of such an assault weigh over her for the years to come. It changes Eden, who once found it easy to be kind and now finds it difficult to not drown in hate. The Way I Used To Be is told in four parts, chronicling each year of high school. Readers are taken on a deeply emotional journey with Eden as she moves through adolescence with the painful memories of one night influencing her friendships, relationships and personal decisions. Author Amber Smith will pull a visceral response with Eden’s raw and heartbreaking story that is ultimately hopeful in its efforts to depict an experience and aftermath that unfortunately many young people face. Eden is an engaging protagonist. The novel feels very personal as we get tangled into Eden’s web of self-loathing, and while she makes bad decisions, we don’t judge her for making them. The way she’s treated – or tormented – by that night and her abuser is enough to make anyone feel compelled to act that way – putting up a wall to never look or feel vulnerable again. As important it is to depict a victim overcoming what happened to them, it’s vital to also see the hard times, the reckless and hopeless moments. It shows the gravity of the act, and just how difficult it can be to move past it. The Way I Used To Be is subtly empowering in an unconventional sense. It proves that as humans we have the power to heal from the goriest emotional wounds. Despite how sad and angry she made me feel, I never doubted Eden’s strength. Moving through each year of high school and seeing her grow, she remained brave in the face of many adversities. She provides a moving perspective that allows readers to empathize with victims of assault, and don’t we need a more compassionate world? This is far from a feel-good read, but I can’t implore how necessary it is to read a book like this one. As unforgettable and stirring as Laurie Halse Anderson’s Speak, Smith’s provocative debut is best described as a survival story with hope and anger serving as prominent themes so fully explored they simmer off the page. 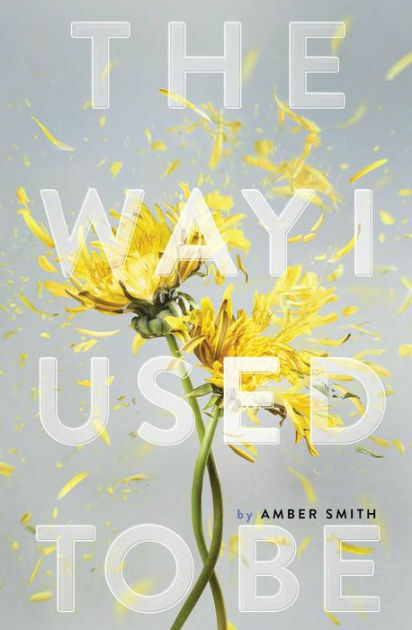 The Way I Used To Be by Amber Smith is now available wherever books are sold.